Dr. Collins Mitambo heads up the Knowledge Translation section at the Ministry of Health and is working closely with Dignitas to build Malawi’s first national Knowledge Translation Platform (KTPMalawi). “Medical research has existed in the country for decades. However, much of this research fails to reach policymakers. Conversely, some health policies have been developed without evidence acquired through research,” says Collins. Researchers often fail to share their research outcomes in ways that can be easily distilled by busy policymakers. The chasm between researchers and those who set health policy means that lifesaving solutions aren’t implemented as quickly as they should be. The objective of KTPMalawi is to encourage routine dialogue between government officials and researchers and to provide training to both parties to ensure research evidence translates into sound health care decisions. Collins describes knowledge translation as a “dynamic and iterative process” and is enthusiastic about bridging the communication and information gap. 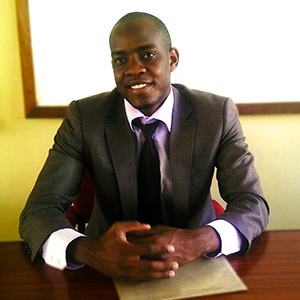 His hope is that KTPMalawi changes how researchers, health care providers and policymakers work together. “The initiative is an important one because it will enable the Ministry of Health to make evidence-based policies. At the same time, researchers will be able to formulate research questions that are relevant to addressing the challenges on the ground,” says Collins. The anticipated result: improved patient health and a stronger health care system.